The Printing Bike project brought together a love of the bicycle and letterpress printing. 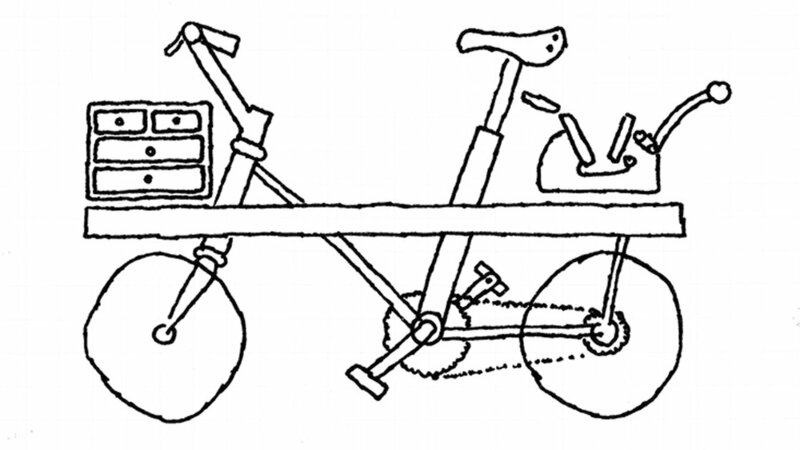 This collaboration created what would have been common in Britain not so long ago: a bicycle designed to travel long distances and carry out a trade (though perhaps traveling printers were less common). 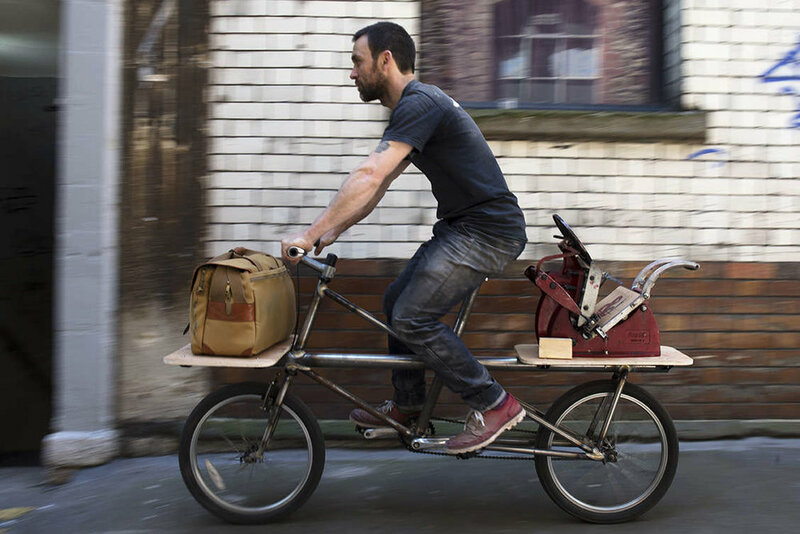 The idea was to design and build a cargo bike; not just to carry the Adana 8x5 printing press, but also inks, paper, type as well as camping and day-to-day living stuff. Bicycle maker Robin Mather brought the idea to life, designing and building the bicycle in his workshop in Bristol. The next part of the project was Nick and Robin’s cycle journey down through England and France into Southern Germany to finally arrive in Mainz, where Johannes Gutenberg invented printing with movable type in 1440. The project was a nod to the man that changed the world for the next five hundred years. The journey involved meeting artists, writers and poets, who described the journey in illustration and word. Nick and Robin printed the original artworks on postcards and posted these to supporters of the project there and then; creating and sending between 10–15 postcards to over 60 supporters of the project along the route. The project was funded through Kickstarter in 2014. The original film about the project. The making of the bike. Robin has been building bespoke bicycles for twenty years and spent six months sketching (his first sketch is below), pushing and prodding the detail of this bicycle. He built a full-size prototype before embarking on the final bike. 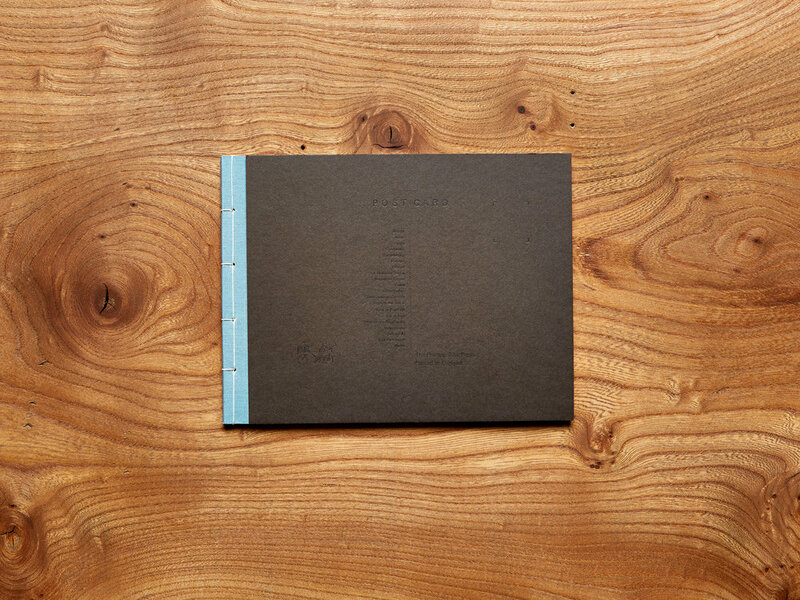 A limited edition letterpress printed book was produced in The Letterpress Collective printshop and in collaboration with Pat Randle from Nomad Letterpress. 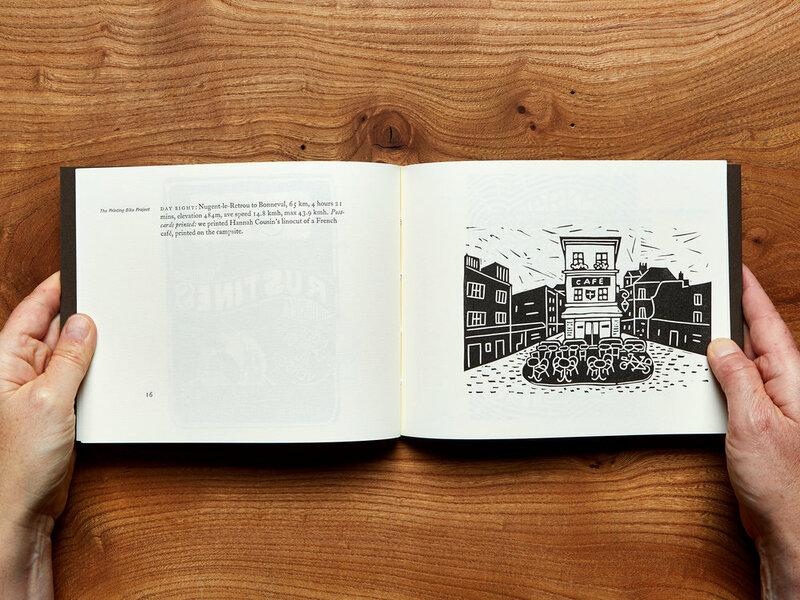 The book included the story of the journey alongside the illustrations created for the postcards.